Euro Hostels - cheap backpackers hostels in cities in the UK providing comfortable accommodation at fantastic prices! share your ride is a backpacker rideboard to bring drivers with a free seat and travellers without a own car together. you can also search or add a ride from almost everywhere with your mobile. NightWalk Dresden – the other way, to get to know to the Outer Newtown Every evening at 21 o'clock in front of the „Nudelturm“ at Albertplatz nosewise people meet, who want to get to know to the Outer Newtown, the well-known limelight quarter of Dresden from another point of view. From the artesian well over the Alaunstraße the NightWalker conquers the history of the quarter, the famous personalities like Erich Kästner, a famous author of children and adult stories, and especially the young scene with its locations for music, art, culture and culinaries - accompanied by a guide. Whether it is bats on the Katharinenstraße, waterbuffalos in the Kunsthof, or Gelbfüssler on the Alaunstraße, for every NightWalker something will fit. Stories out of the backyards, cultivation of oat on the sands or hunged on the Böhmische Straße, every agegroup will fulfill their personal preferences. A vodka on the Görlitzer Straße, a prosecco in a back garden of Louisenstraße, or a shot on the Königsbrücker Straße, all tastes will find their pleasure. Where were parts of GZSZ, a famous German daily soap, filmed? On which stage did Helge Schneider, Germany's No. 1 comedian, play his band under the table? Why did Erich Kästner play football in a pub? In which location did she rum? In these two and a half, three hours NightWalk all nosewises will get these and all other questions answered about the most hipest quarter in Germany. Individuals, small or large travelgroups, will be guided in Englisch, French or German throughout the night. Booking or special dates are possible under www.NightWalk-Dresden.de. The holiday guide for Ireland, Car rental, Accommodation, Tour packages in Ireland, askpaddy has it all. 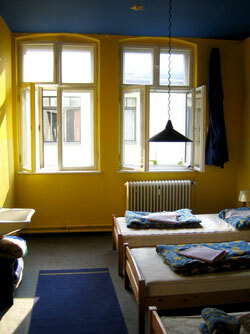 We offer an accommodation in hotels, hostels, pensions and apartments in Prague. With one of our special bids you can save 20-50% from the price of accommodation. From the most luxuries to the cheepest. Guesthouse in construction, completion by the end of this year likely. Four rooms with two beds each, shower and toilet. Two small flats (hall, bedroom, kitchen, shower and toilet) for groups or families. Restaurant, bar. Electricity, running cold and warm (solar) water, telephone. Located in the Upper West Region of Ghana, close to the border of Burkina Faso. Ideal for travellers to rest a few days when going round west Africa or to stay some time to enjoy life in rural Africa. European and African dishes, accommodation "European" standard. Background of the owner: Paediatrician working in Jirapa. Guesthouse to support the work financially. N.B. : The website www.tamfunk.com does not yet contain information about the guesthouse! Mit uns zu reisen bedeutet vor allem eins: Freude am Reisen! Mit Freude meinen wir nicht nur eine Abfolge an Attraktionen, sondern auch das Knüpfen von Kontakten, in der Gruppe wie auch zu Einheimischen. Unser Motto lautet deshalb: Natur erleben, Menschen begegnen!